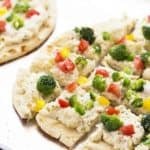 So cheesy, delicious, quick and EASY… you’re going to love this Cheesy Lemon Pepper Veggie Flatbread! Today’s recipe is sponsored by La Terra Fina®. All opinions shared are my own. 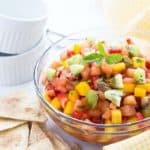 When I was asked to partner with La Terra Fina by creating a simple and delicious recipe for summer entertaining, I was more than thrilled. Why? 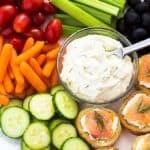 Because first of all, I love their dips and spreads (and simple recipes!). Second of all, I just got settled into a new home that is the totally set up for entertaining… a win-win situation here! Let’s face it. Life is crazy busy pretty much all the time. That’s why I’ve always done my best to cook and share simple, delicious recipes that don’t require a lot of exotic ingredients and are easy to prepare. And this cheesy veggie flatbread is just THAT. 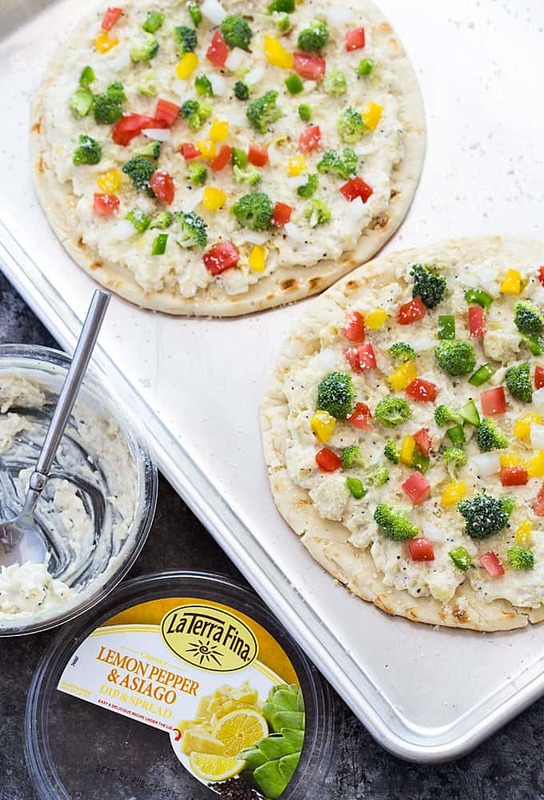 La Terra Fina’s Lemon Pepper & Asiago Dip & Spread boasts flavors of rich Asiago cheese, lemon and pepper. There’s no need for any other seasonings. 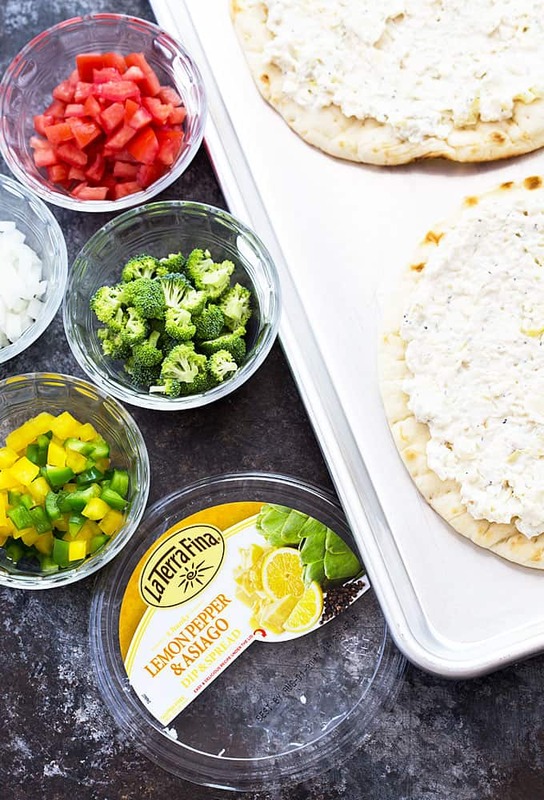 La Terra Fina has an array of flavorful dips crafted in small batches using only clean ingredients. 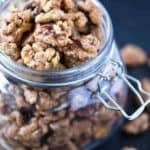 They’re amazing hot OR cold as a snack, appetizer, or included in a main entree. 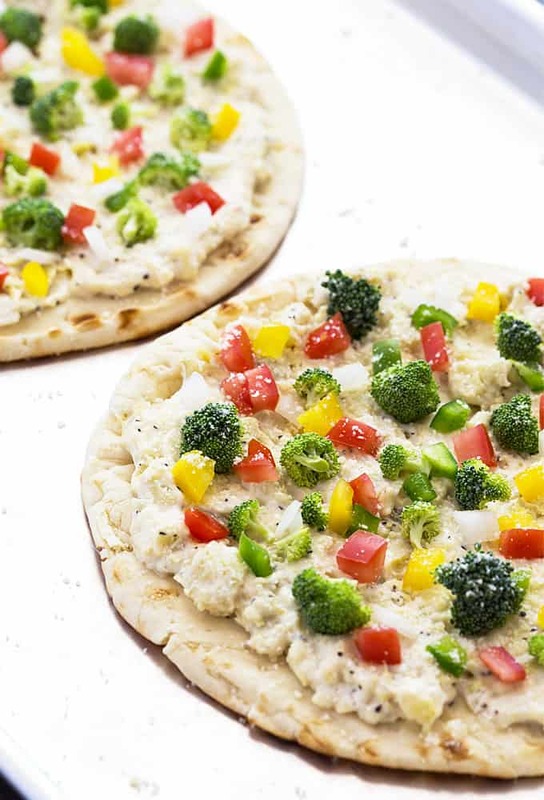 I topped this cheesy flatbread with broccoli, bell pepper, onions and diced tomatoes, but feel free to use your imagination. The possibilities are endless. Enjoy! 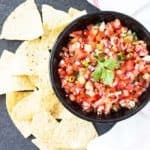 Be sure to connect with La Terra Fina on their website and on Facebook for more inspiring recipes. Turn your oven broiler on high. 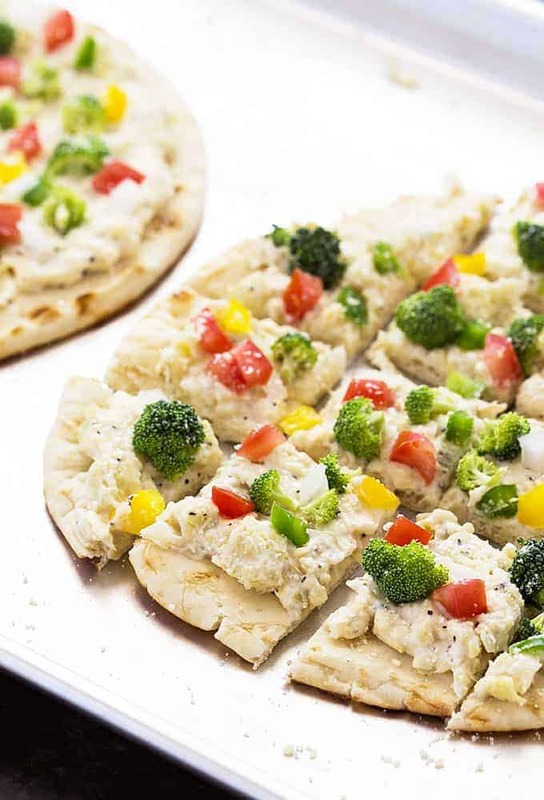 Place flatbread onto a large ungreased baking sheet. Spread both pieces of flatbread evenly with dip. Broil for approximately 2-3 minutes, or until flatbread is crisp and dip is hot. Top evenly with vegetables and sprinkle with Parmesan cheese. 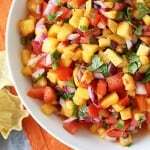 Slice into desired serving size and serve immediately. I never thought of using this spread heated on flatbread! Going to try this tomorrow. Looks delish!! !